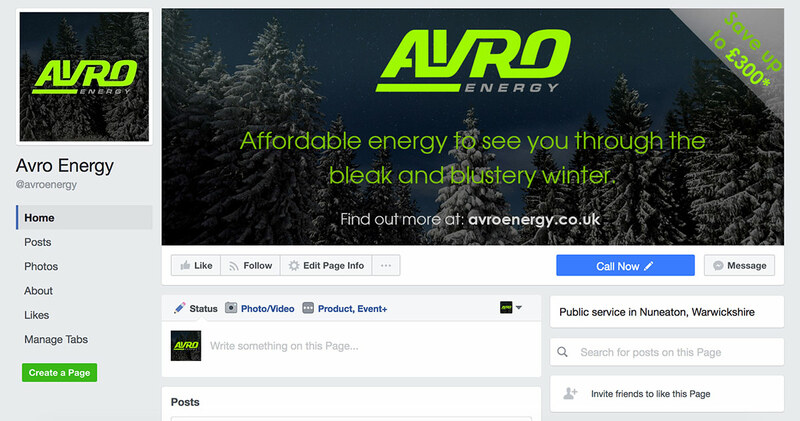 This duo of visuals were specifically designed to compliment each other on Avro Energy’s Facebook page. Set on their platform as a profile picture and a banner, they are visually pleasing and initiate a professional persona for the company. They were designed and published on their Facebook page as part of their monthly social media management package. The images created by our design team bring in a variety of elements we like to incorporate to produce the best possible image for our clients audience. As this was created for an energy company, including a cold image and creating a warm presence works perfectly, along with seasonal information to show the content is current. The Logo and vibrant colour enhance the companies brand in a subtle way that look great when browsing via phone, tablet or desktop computer. Assist with clients professional social media platforms. Provide consistency with visual components of the clients Facebook page.